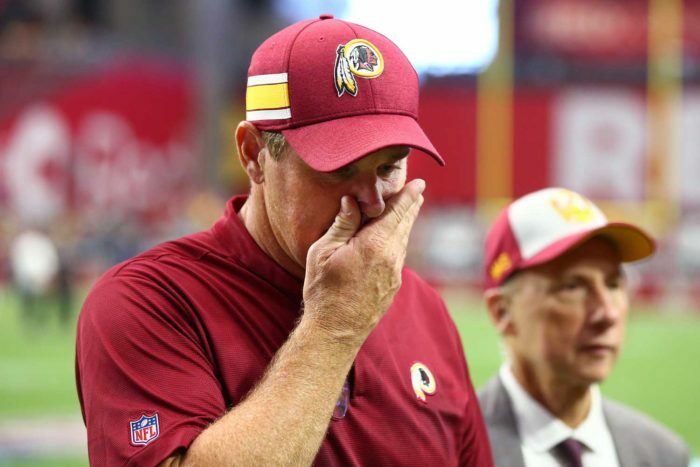 Heaven help Washington Redskins coach Jay Gruden. It’s not just division-leading Dallas nor Monday’s opponent, defending Super Bowl champion Philadelphia, he must overcome now. Nope, it’s something bigger and more pernicious. It’s called the court of public opinion, and his chances of success there are less … and significantly less … than in the NFC East. That’s because Gruden coaches the football team that just stepped out on a ledge to hire linebacker Reuben Foster … and maybe you’ve heard of him. He’s the former first-round draft pick the San Francisco 49ers released this week after he was involved in another charge of domestic violence. The 49ers’ move wasn’t unexpected. But this is: Within 24 hours, one team claimed him. And that team was Gruden’s Redskins. Others were less diplomatic. “Absolutely shameful: Redskins ripped for claiming Reuben Foster,” blared a headline in the Washington Post. USA Today labeled the decision “a vile, inexcusable move” and called on the Redskins to explain the hiring of someone charged with domestic abuse multiple times. The Redskins tried. Let’s just say they should stick to defending the Eagles and Cowboys. One day after senior executive VP Doug Williams said the Redskins’ brain trust spoke to five former University of Alabama players on Washington’s roster who played with Foster, he admitted that, no, he really didn’t. He spoke to three of them. Okay, so that seems minor. But wait a minute. One question: What’s the harm in consulting everyone and anyone? Answer: There is none. And why wouldn’t you also contact Foster’s accuser or her lawyer? Or both? That didn’t happen, either. One phone call. That’s all it took. And it wasn’t made. Bottom line: The Redskins rushed to add a player whose talent they seem to value far more than his character, with predictable consequences: They were vilified for going rogue in an era when the NFL is trying to get tough on individuals charged with domestic violence. Of course, they’re not alone. Three years ago, the Dallas Cowboys signed former defensive end Greg Hardy after he nearly killed a woman. They, too, were shredded by critics but looked the other way, played Hardy and dumped him after one season. In effect, the talent couldn’t trump the character, and Hardy never played again. In 2016, the New York Giants stuck by kicker Josh Brown after he was arrested on a domestic-violence charge and suspended one game. They later released him after it was revealed that Brown was involved in a series of incidents, with Giants’ owner John Mara admitting he was “misguided” in his allegiance to Brown. 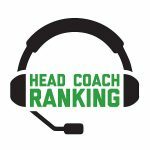 Now it’s on to the Redskins, who have tried to defuse the Foster controversy by saying there’s no guarantee he ever plays – mostly because the NFL this week put him on the commissioner’s exempt list – and to minimize their culpability by calling out others throughout the league for similar decisions. I’m no lawyer, but that sure sounds like an admission of guilt to me. In the meantime, Jay Gruden is wheeled in front of reporters daily to explain a move that has him and his football team front and center in the national-news cycle … and not because they just ceded first place to red-hot Dallas in the NFC East. It’s unclear what, if any, role Gruden played in this move, with the coach calling it “a team decision,” whatever that means. But what is certain is that he now has himself a full-blown distraction … disruption … disturbance … disgrace … you name it … that isn’t going away and that will test his leadership as much as – if not more than – anything left on the schedule. I’d want to find out exactly what happened, too. Only I’d have done it BEFORE bringing a Reuben Foster in. The Redskins did not … and so they must absorb a tsunami of criticism they invited by ignoring Foster’s checkered history. Look, it seems clear there was a minimum of vetting here. It also seems clear the Redskins believe Foster’s uncertain availability somehow exonerates them and that they’re willing to suffer public humiliation if, in fact, he’s cleared to play. But what is apparent – at least to me – is that Gruden, who was high on Foster before the 2017 draft, had no idea what he or his football team was in for when the organization assumed this risk. No, it’s not. And neither is this move. Good luck with the rest of the season, Jay. You’re going to need it. Now more than ever.